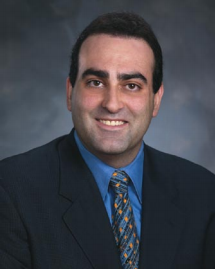 GAINESVILLE, FL: SumTotal Systems, where Dan Boccabella (BS ISE 1993) is the Vice President of Product Management, was featured in Business Report: North Central Florida. SumTotal Systems bought MindSolve in 2006, a start-up company begun by Boccabella and Jeff Lyons in Gainesville in 1997. After purchasing MindSolve, SumTotal was purchased by a private company, Vista Equity Partners. In 2009, it was decided that SumTotal Systems was dispersed too widely and needed a single headquarters. After much consideration, they chose Gainesville, due to the wealth of talent in the surrounding area, according to the article by Chris Eversole, as fifty percent of their two hundred local employees are UF graduates. SumTotal Systems provides software to companies to help with hiring, tracking, and developing the talents of employees. Boccabella will be talking in the ISE Department Sales Engineering Seminar series on October 23.